Launched a couple of months ago,Kitty Bingo has already won its place in online bingo players’ hearts as one of the top bingo sites. It wasn’t even that hard to do, seeing that their fun games and even funner promotions and bonuses are an incentive for any bingo player to start playing with Kitty Bingo instead of one of the many other online bingo sites out there. In what follows there are a couple of pieces of information regarding the site, so at the end of this article you will know whether or not you would rather play online bingo with Kitty Bingo or not. At Kitty Bingo you can play either 90 ball or 75 ball bingo games, and there’s a wide range of rooms for you to choose from. There are a ton of free bingo games, ideal for casual gamers as well as people that are just starting out with the game, and the top price for tickets is £1. Of the four standard 90 ball online bingo rooms, 2 are open 24 hours. As for the 75 ball bingo rooms, there are 2 for you to choose from. If you’re a fan of Pre-Buys you can choose one from the 6 weekly games that feature a lot of prizes and cash awards! Kitty Bingo is the second site to launch from the same company that also launched Spin and Win Bingo, so you will find quite some similiarities between the two sites’ software and website design. Despite this fact, Kitty Bingo’s software is standalone, as well as its site, and it doesn’t belong to any network. Bonuses and promotions are the backbone of any online gambling website, and Kitty Bingo is no exception. The moment you sign up for a new account you are greeted with a 10 GBP no deposit bonus, which means that you’ll instantly have ten pounds to spend as you wish! The only drawback, if we can even call it that, of this bonus is the fact that it has a £50 cap on the winnings that you can withdraw from it. So, worst case scenario is that you win five times the amount that… you never even took out from your pocket in the first place. If you do decide to deposit cash in your account and play online bingo games for real money then you will get a 100% first deposit bonus of up to £100. This time, there’s no limit on the amount of money you can win from this bonus. Also, if you want to deposit money a second time (or even more) you should know that all deposits starting with the second one are rewarded with a 50% deposit bonus up to £100. If you crunch up the numbers you’ll see that these offers are so easy to work to your advantage! 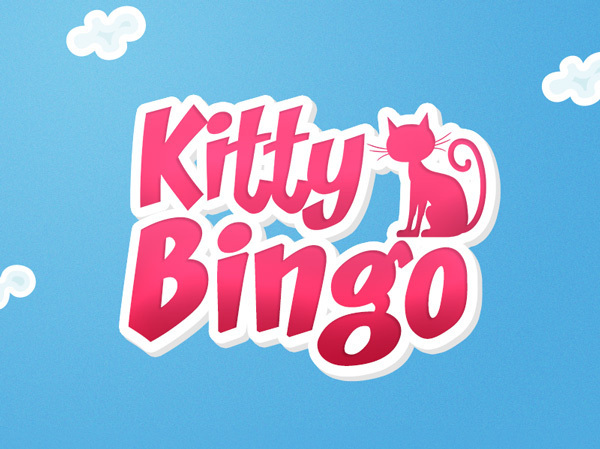 The more you play on Kitty Bingo, the more money you’ll win! There are five loyalty levels that reward their most loyal players. Everyone starts off at the Bronze level, then the more Kitty Points you earn you’ll advance to Silver, Gold, Ruby then finally Emerald. You win these bonus points by simply betting real money on the games, and every thousand points is worth £1. With an impressive design, great promotions and bonuses and a cool loyalty system that works to the user’s advantage, Kitty Bingo is definitely one of the better online bingo sites out there, and it’s definitely worth your time. Our final verdict is a positive one, and you should definitely give it a try!